Free Shipping Included! 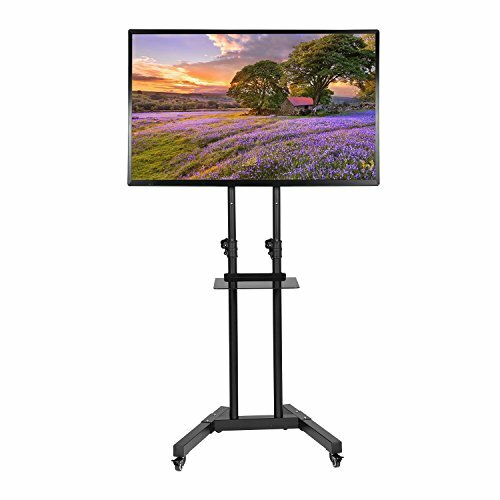 Ollieroo TV Mobile Stand with Mount Height Adjustable for Most 32-65 Inch TVs Flat Panel Screens by Ollieroo at RVTE. MPN: HD05115. Hurry! Limited time offer. Offer valid only while supplies last. For 32-65 inch TV, this TV stand is a perfect addition to your living room. This stand has a console shelf. It accommodate your TV as well as AV/HDMI components/game consoles. The shelf can hold 22 lbs load at max. 3.There are wheel locks on all 4 wheels to make this stand stationary or mobile when desired. Support Max VESA of 600 x 400mm mounting holes spacing. Please note, the height raise is the height from floor to the top of this stand. For exact height raise from floor to the bottom of your TV, please leave a question with TV model number, we will give you a clear answer.